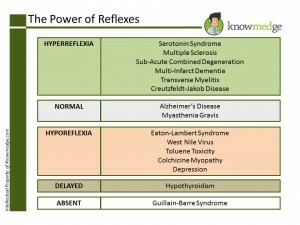 When preparing for the ABIM Internal Medicine board examination, realize that noting the reflexes mentioned in a clinical vignette can serve as a high-yield clue and often help narrow down the differential. 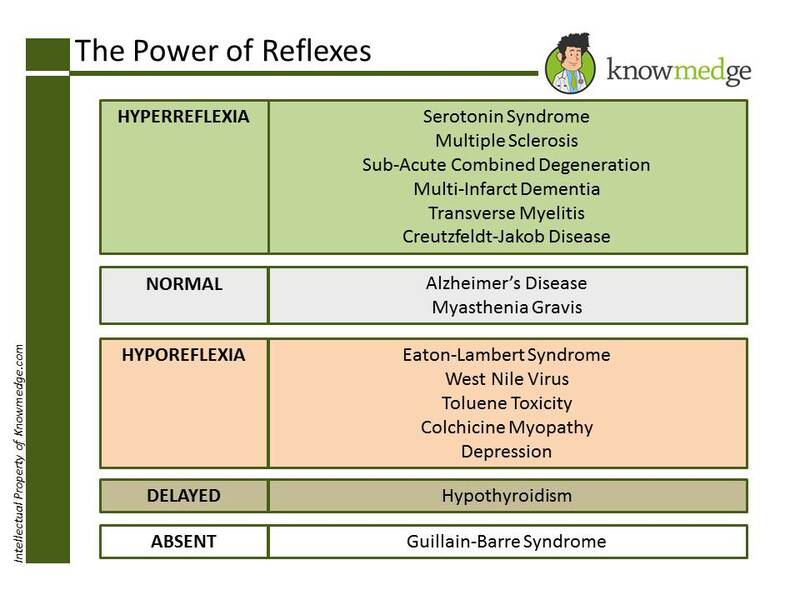 Here is a list of 15 common medical conditions from the ABIM Learning Objectives and their associated reflexes. Do you know any others? Please share with us below. We always love learning new medical facts and helping others prepare for the ABIM exam.